Back in April I posted about the Senate Intelligence Committee Report: CIA lied about illegal torture. A scathing report (.pdf) released by the Senate Intelligence Committee on Tuesday found that the Central Intelligence Agency routinely misled the White House and Congress about the information it obtained from the detention and interrogation of terrorism suspects, and that its methods were more brutal than the C.I.A. acknowledged either to Bush administration officials or to the public. 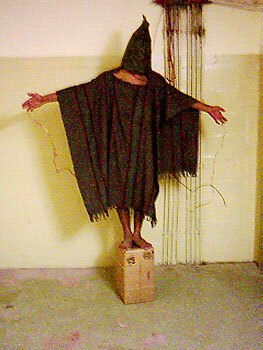 (Image of Ali Shallal al-Qaisi being tortured at Abu Ghraib prison). During his administration, President George W. Bush repeatedly said that the detention and interrogation program, which President Obama dismantled when he succeeded him, was humane and legal. The intelligence gleaned during interrogations, he said, was instrumental both in thwarting terrorism plots and in capturing senior figures of Al Qaeda. The report said that senior officials — including the former C.I.A. directors George J. Tenet, Porter J. Goss and Michael V. Hayden — repeatedly inflated the value of the program in secret briefings both at the White House and on Capitol Hill, and in public speeches. “Releasing this report is an important step to restoring our values and showing the world that we are a just society,” she said. The entire report is more than 6,000 pages long, but the committee voted in April to declassify only its 524-page executive summary and a rebuttal by Republican members of the committee. The investigation was conducted by staff members working for Democratic senators on the committee. Many of the most extreme interrogation methods — including waterboarding — were authorized by Justice Department lawyers during the Bush administration. But the report also found evidence that a number of detainees had been subjected to other, unapproved methods while in C.I.A. custody. During one waterboarding session, Abu Zubaydah became “completely unresponsive with bubbles rising through his open, full mouth.” The interrogations lasted for weeks, and some C.I.A. officers began sending messages to the agency’s headquarters in Virginia questioning the utility — and the legality — of what they were doing. But such questions were rejected. 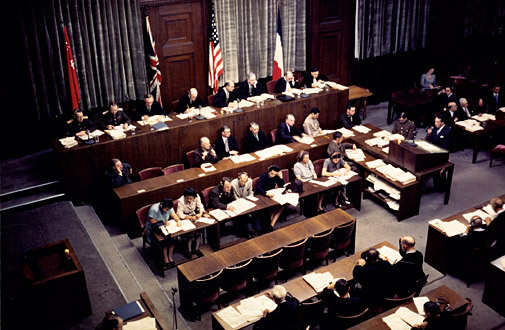 The Senate report found that the detention and interrogation of Mr. Zubaydah and dozens of other prisoners were ineffective in giving the government “unique” intelligence information that the C.I.A. or other intelligence agencies could not get from other means. The report also said that the C.I.A.’s leadership for years gave false information about the total number of prisoners held by the C.I.A., saying there had been 98 prisoners when C.I.A. records showed that 119 men had been held. 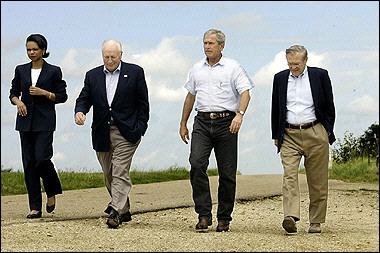 In late 2008, according to one internal email, a C.I.A. official giving a briefing expressed concern about the discrepancy and was told by Mr. Hayden, then the agency’s director, “to keep the number at 98” and not to count any additional detainees. The battle over the report’s conclusions has been waged behind closed doors for years, and provided the backdrop to the more recent fight over the C.I.A.’s penetration of a computer network used by committee staff members working on the investigation. C.I.A. officers came to suspect that the staff members had improperly obtained an internal agency review of the detention program over the course of their investigation, and the officers broke into the network that had been designated for the committee’s use. Most of the detention program’s architects have left the C.I.A., but their legacy endures inside the agency. The chief of the agency’s Counterterrorism Center said during a meeting with Mr. Brennan, the current C.I.A. director, in April that more than 200 people working for him had at one point participated in the program. With all due respect, Mr. President, it is not enough to say that “mistakes were made” and that illegal torture and rendition of prisoners to black site prisons ended when you signed an executive order on your first day in the White House. We are a nation of laws and those who authorized, created, and participated in illegal torture programs must be held accountable at law. Torture is illegal under U.S. law, and under international treaties and conventions to which the U.S. is not only a signatory to those agreements, we were the principal author. We have no moral authority in the world to demand that others guilty of torture be held accountable if we do not hold our own accountable. These anti-torture laws require legal action. I’ve said it many times, the failure to prosecute the war criminals from the Bush-Cheney regime — and their propagandists in the corporate media — and to allow them to hold prestigious positions at universities, think tanks, corporations and media outlets from which they can advocate for the next Neocon war, demonstrates why such prosecutions are so necessary. Without accountability for their crimes, they will do it again. They deserve to be prosecuted under the Nuremberg Principles for their war crimes, at least at a minimum, prosecuted under U.S. law and international conventions prohibiting torture. Are we a nation of laws or not? America needs to demonstrate to the world that we are capable of holding our own accountable for their heinous crimes to restore our honor and moral standing in the world.